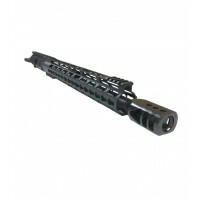 AR-15 .458 SOCOM 10.5" Upper Build w/ 10" Slim Mlok Rail. CA and NY compliant. 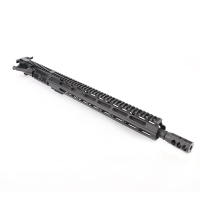 This upper assembly features:Action: Semi-auto Gas System: Pistol Length Gas System Chamber: .458 Socom Twist Rate: 1/14 Muzzle Device: Thread 11/16x24 custom TPI competition Barrel: Fa..
AR-15 .458 SOCOM Upper Build with 16" Barrel and 15" Keymod Super Slim Handguard. CA and NY compliant. 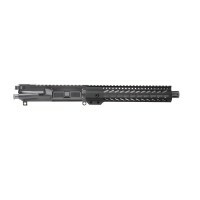 This upper assembly features:Action: Semi-auto Gas System: Carbine Length Gas System Chamber: .458 Socom Twist Rate: 1/14 Muzzle Device: Thread 5/8x24 custom TPI co..
AR-15 .458 Socom 10" pistol upper assembly w/ 10" keymod rail Barrel - 10" 4150CMV steel hbar barrel, M4 feedramps, non-fluted. Parkerized finish. Chambered in .458 Socom. Button rifled with 1-14 rh twist. .875 under gas block diameter. Threaded 5/8x24. Carbine gas system. 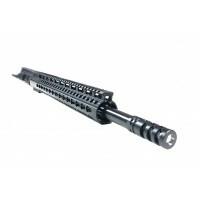 Barrel ..
AR-15 .458 Socom 16" black upper assembly w/ 12" keymod rail Barrel - 16" 4150CMV steel hbar barrel, M4 feedramps, non-fluted. Parkerized finish. Chambered in .458 Socom. Button rifled with 1-14 rh twist. 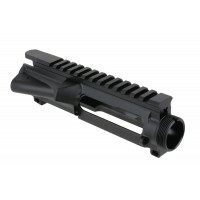 .875 under gas block diameter. Threaded 5/8x32. Carbine gas system. 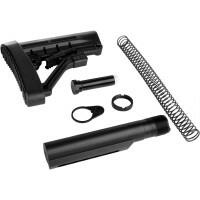 Barrel i..
AR-15 .458 SOCOM Flat Top Upper Receiver, Stripped 7075 T6 Aluminum Frogings Black anodized finish M-4 feed ramps Ejection port machined extra wide for the .458 Socom and other large bore calibers Made in the USA by Anderson ManufacturingCompatible with Mil Spec AR-15 lowers ..